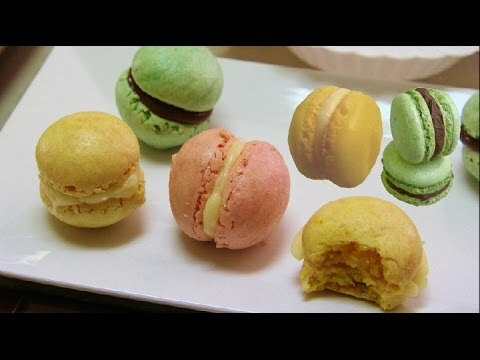 Eggless Macarons - is this possible? I am baking for a child with dairy, egg, and nut allergies. Would regular cake or all-purpose flour work? Coconut flour? I'm looking to bake macarons, the small round buns that you see being sold at bakeries and cafes, but most of them have eggs or nuts in them. From what we know, macarons consist of 3 main ingredients: Egg white, Sugar and Almond Flour. Generally, the almonds or almond flour made from ground or blanched almonds will make the macarons more chewy, retain the moisture within them as they contain oils. I'm not really sure what would happen if you used wheat flour instead, but I'm the outcome would be dry and hard. There is also an additional flavouring that comes with using almond flour. However, eggs are used here. Macarons are pretty much chewy meringue cookies, so I can't imagine making it without egg whites, haha. To replace tree nuts, you can also try seed flours e.g. Sunflower/pumpkin seeds. Bakening | Nourishing. Awakening. Delicious desserts for your body and soul. You may want to look at the recipes by Vegans, as compared to limiting your search to eggless. you'll find eggless recipes in vegan diets as well. All times are GMT8. This page was generated at 09:09 PM.